“Press my pents and shine my shoes/gimme twenny cents to pay my dews/for I’m goin’ far a-waaay tidday. Be heppa!” This classic cartoon runaway ditty sung by Krazy Kat (perhaps escaping Ignatz Mouse) often comes to my mind just thinking of traveling to Italy, undoubtedly “delicium orbis,” the world’s delight. I’m not alone. For 3,000 years Italia has drawn visitors, armies, artists, lovers, composers, saints, food lovers, fashionistas, divas, and writers: Vergil, Ovid, Dante, Boccaccio, Keats and Shelley, Stendhal, Lampedusa, Gore Vidal. All of whom no doubt suffered what’s come to be known as Stendhalitis, a sensory overload of art, history, noise, food, and gaiety that overcame the French novelist in 1811 after visiting Florence. Of the alphabeatified-by-country of my hundreds of travel narratives, Italy sprawls over the most shelf acreage. 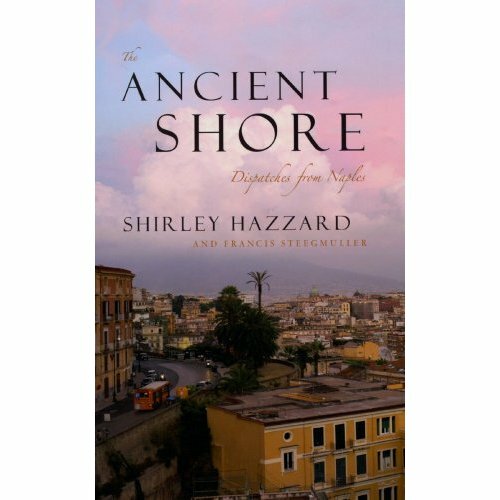 Happily, a just-published short book has extended my Italian cap-a-pie book collection closer to the J’s: a love letter to Naples by Shirley Hazzard and her late husband, Francis Steegmuller. In 1956, while working for the United Nations, the novelist Hazzard (“Transit of Venus”, “The Great Fire”) was sent to Naples for a year, a place she and her husband fell in love with. In the ensuing 52 years she has traveled and lived in many other Italian regions, but always returning to the bay and encircling hills known locally as Il Cratere. The second section guides you through a few of her favorite Neapolitan haunts with hints along the way: never carry anything snatchable; don’t miss the amiable restaurant Al Poeta in the Piazza Salvatore di Giacomo or the locally excellent red Posillipin wine; the best view of Il Cratere is from the garden at San Martino. Lastly is a celebrated essay by Hazzard’s late husband, Francis Steegmuller, renown for his translations and editing of Flaubert’s letters and other literary biographies, on being brutally mugged by motorcycling thieves scippatori as they’re known in Naples– in Spaccanapoli, the city’s oldest district. Shirley Hazzard (University of Chicago Press, $18, 129 pgs. ).